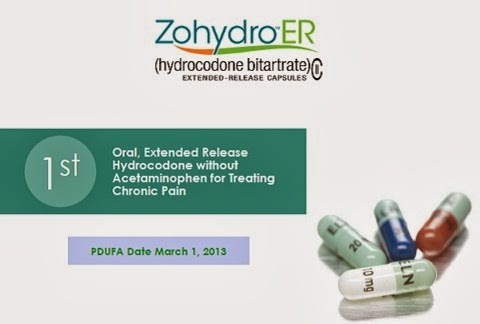 The fight against pure hydrocodone continues; Massachusetts Governor Deval Patrick has announced that the drug Zohydro ER will be banned, according to Reuters. Sales of the drug will, without question, contribute to the ever growing problem of opioid addiction in the United States. Nipping Zohydro in the bud will forestall the drug's ability to exacerbate the prescription drug epidemic. “The introduction of this new painkiller into the market poses a significant risk to individuals already addicted to opiates and to the public at large,” Governor Patrick said in a news release. Whether from lack of oversight or lack of concern regarding America’s deadly opioid dependence, Zohydro formulators, Zogenix, designed the drug without tamper resistant properties. Users of the drug can easily crush the medication in order to snort or inject the medication for a quick high. Oxycodone lacked taper resistant features when it was first released and over the course of a few years the prescription drug epidemic inflated beyond belief. Despite the drugs deadly auspices, the Food and Drug Administration (FDA) approved the drug even though a panel of experts assembled by the FDA itself voted against recommending approval. The FDA’s panel voted 11-2 against approval, saying that while the drug maker Zogenix met certain standards, the analgesic could be used by opioid addicts currently abusing oxycodone. Public health groups and legislators are up in arms about the FDA’s approval, bombarding FDA Commissioner Margaret Hamburg with letters regarding the decision. Hamburg has also been contacted by 28 state attorneys general and four senators, pleading the FDA to reconsider its approval of Zohydro. Zogenix has announced it will create an oversight board designed to spot misuse of Zohydro.